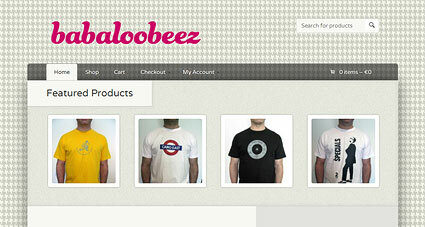 Babaloobeez is an online shop selling high-quality, music t-shirts with unique designs. The site was built on the wordpress platform integrated with the Woo-commerce shopping cart system. 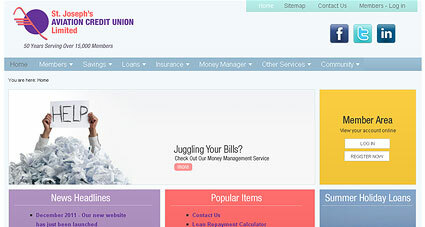 doop were asked to design and develop a new interface for the St. Jospeh’s Aviation Credit Union. 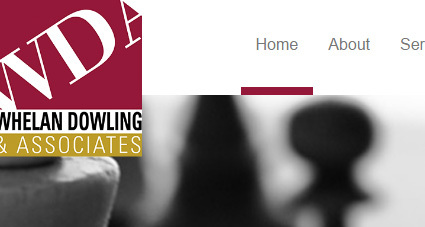 Build upon the Joomla content management system the site provides full information about St. Joseph’s while allowing credit union members to access their accounts via the interaction with CU Online from Wellington IT Solutions. 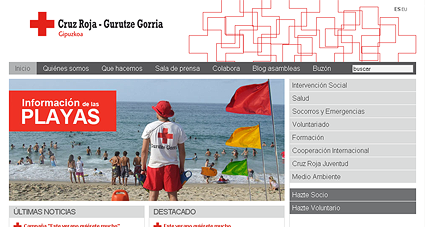 doop were asked to develop a CMS multilingual website for the Red Cross in San Sebastian in the Basque Country in both Basque and Spanish. The site was built on the Joomla platform allowing staff in the communications department to easily update the site with news and press releases in both languages. 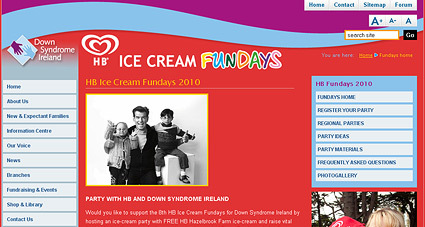 You can support the 8th HB Ice Cream Fundays for Down Syndrome Ireland by hosting an ice-cream party with FREE HB Hazelbrook Farm ice-cream and raise vital funds which will go towards the ongoing development of Down Syndrome Ireland’s services. 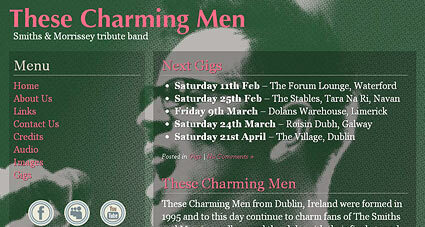 doop used the flexibilty of the Joomla CMS system, which allows multiple template designs within one site to adjust the design for the HB Fundays section only. 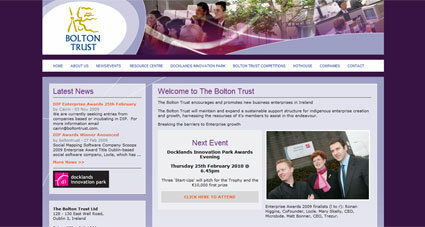 The Bolton Trust are an organisation that promote new business enterprises in Ireland. Having previously designed their website, doop recently freshened up the site’s design as well as implementing wordpress cms in the back-end to allow them to update their ‘news’ section themselves. This worked so well that they came back to us asking for the entire site to be updateable using the same wordpress install. This involved rebuilding the code within wordpress whilst maintaining the original handcoded design. 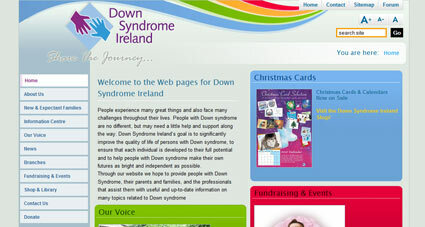 Down Syndrome Ireland’s new website recently went live with a brand new design and the Joomla! content management system behind it. The site is designed to present a large amount of content and information through a friendly and easily accessible interface. The CMS allows DSI staff to easily update site content and documentation themselves. doop have been working with Down Syndrome Ireland for many years and continue to assist the organisation in utilising digital technology to spread their message and assist in fundraising. The Eating Disorder Unit at St Patrick’s Hospital was established over 15 years ago and caters for people with Anorexia Nervosa, Bulimia Nervosa and Binge Eating Disorders. 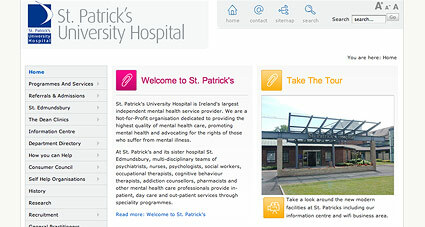 doop were commissioned by St. Patrick’s Hospital to design & develop a series of programme websites providing information and feedback to patients. Famously founded by the will of the great Jonathan Swift, St. Patrick’s University Hospital is Ireland’s largest independent mental health service provider. doop were commissioned to develop a new cms-based website highlighting the scope of services and programmes offered by the hospital.